“Art is less a creation and more an allowing. Libby Meyer (b. 1967) is a composer and Irish fiddler. Her interest in natural soundscapes, conservation of special places and curiosity about the relationship between the arts and the natural world fuel her work. She is a co-founder of the Keweenaw Soundscape Project established to aurally document the Keweenaw region and surrounding lands for ecological, social and artistic value. She has served as an Artist in Residence at Isle Royale National Park and has written a number of compositions inspired by the landscape. In 2012 Sea Caves, Hear Caves for orchestra and recorded sounds of the sea caves at the Apostle Islands National Lakeshore was premiered by the Keweenaw Symphony Orchestra. Her piece To What Listens for chamber choir, trombone, piano and percussion based on the poetry of Wendell Berry was premiered by Conscience Chamber Choir in April of 2016. In 2016, Libby and colleagues from Michigan Technological University were awarded a grant from the National Endowment for the Arts Imagine Your Parks program. 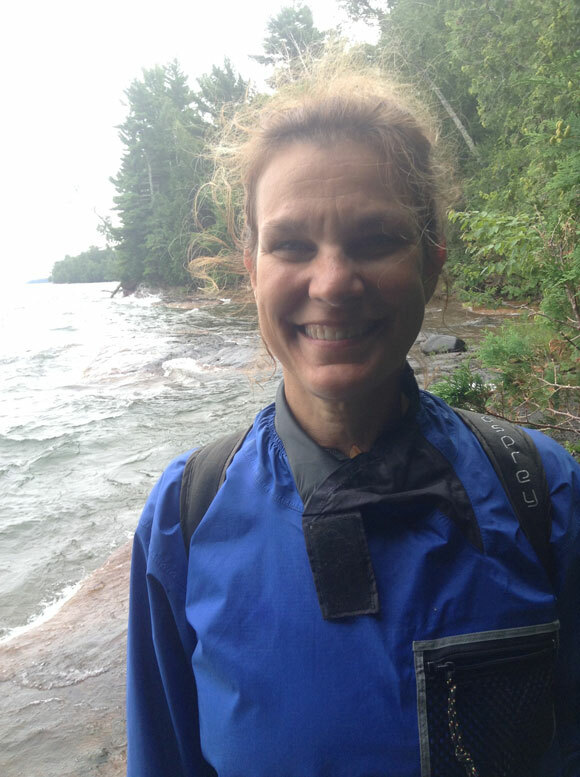 The project team is recording soundscapes in the five National Parks on Lake Superior and she will create a new composition as part of a touring sound installation to be premiered in December of 2017. Upcoming performances include Shades of Blue Green for video, two amplified violins, tap dancer and wind symphony inspired by the wave motion of Lake Superior to be premiered by Superior Winds and incidental music for the play Silent Sky by Lauren Gunderson presented by the Tech Theater Company. Libby and her husband live on a small farm in Michigan’s Upper Peninsula surrounded by the choruses of sandhill cranes, woodcocks and spring peepers depending upon the season. Despite winters that regularly deliver over 300” of snow, they plant a large garden, raise honeybees and maintain a small apple and cherry orchard. Libby holds a DMA in music composition from Northwestern University in Evanston, Illinois and is currently the director of the music composition program at Michigan Technological University. Excerpt from Melusina Calls to the Loon (2002) for violin and chamber orchestra. Recorded live by the Keweenaw Symphony Orchestra, Cori Somers, violin, 2002.
http://landscapemusic.org/wp-content/uploads/2016/08/Melusina-Calls-to-the-Loon.mp3 Excerpt from Sea Caves, Hear Caves (2012) for orchestra and recorded sounds of the Sea Caves at the Apostle Islands National Lakeshore. Recorded live and commissioned by the Keweenaw Symphony Orchestra, 2012.
http://landscapemusic.org/wp-content/uploads/2016/08/Sea-Caves-Hear-Caves.wav Excerpt from Ours is the Sky (2014) for chamber choir and tuned glasses. Recorded live and commissioned by ConScience Chamber Choir, 2014. Poetry by M. Bartley Seigel.